If you’re looking to move to an up-and-coming city, it’s time to head for the South. As Thrillist reports, new Census data finds that eight of the top 15 fastest-growing large cities in the U.S. are located in the region. The U.S. Census Bureau just released its most recent population growth estimates for large American cities—meaning incorporated areas of more than 50,000 people—and found that the Sun Belt is growing faster than other areas of the country. 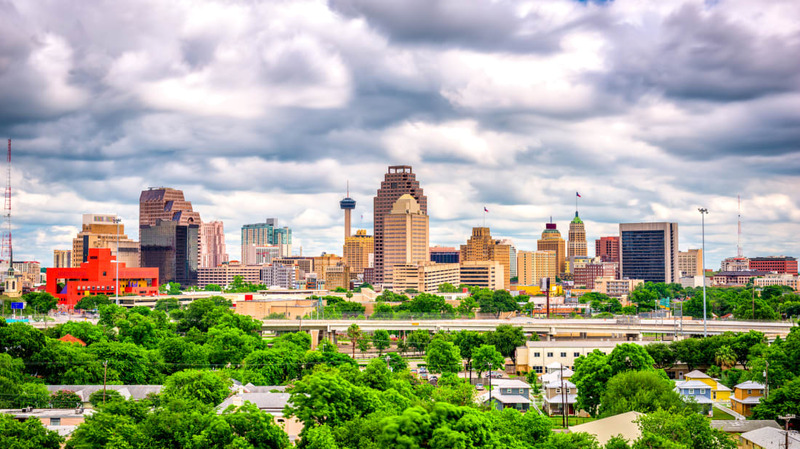 San Antonio, Texas, the city that saw the biggest increase in population during the period analyzed, added an average of 66 people per day between 2016 and 2017. As of July 2017, the city had 24,200 more people than it did a year prior. Phoenix added 24,000 people during the same period, while Dallas and Fort Worth, Texas each added almost 19,000 people to their residency rolls. These are the 15 states that added the most people to their population between July 2016 and July 2017. Percentage-wise, several small Texas cities have also increased their populations significantly. Though Frisco, Texas, is only No. 9 on the list by straight population numbers, it’s had the largest growth relative to its size—the 13,470 new residents in the city represent an 8.2 percent increase in a year. New Braunfels and Pflugerville, Texas, also saw large gains in population relative to their size, coming in at No. 2 and No. 3 on the list of fastest-growing cities by percentage increase. For comparison, the growth rate for the nation as a whole was 0.7 percent. Unfortunately, the places that are growing the fastest aren’t necessarily adding new housing at the same rate that they’re adding people. In the last year, the states that added the most new housing were Utah, Idaho, and Colorado, none of which appear on the list above. So if you decide to move to these boomtowns, don’t expect your rent to come cheap.